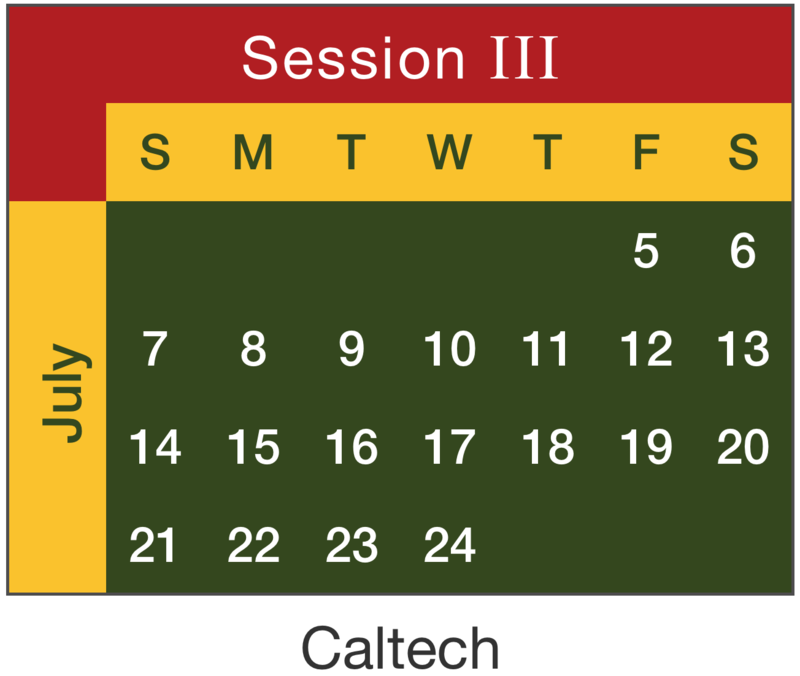 Session II – Principia at Caltech runs from Wednesday, June 19 through Friday, July 12. 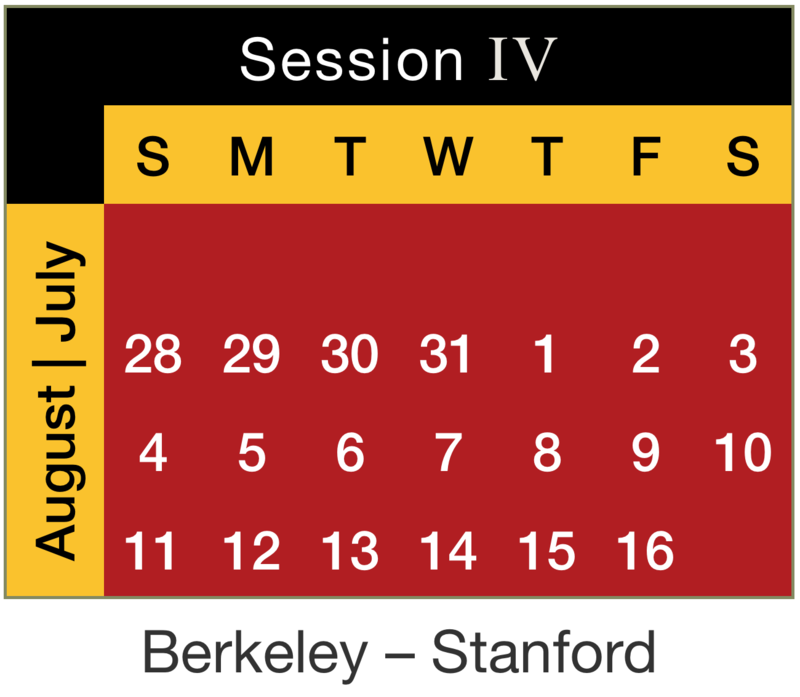 Note that weekends are included in this four-week session. This course is intended for rising or graduating seniors interested in pursuing a degree in engineering or applied science. 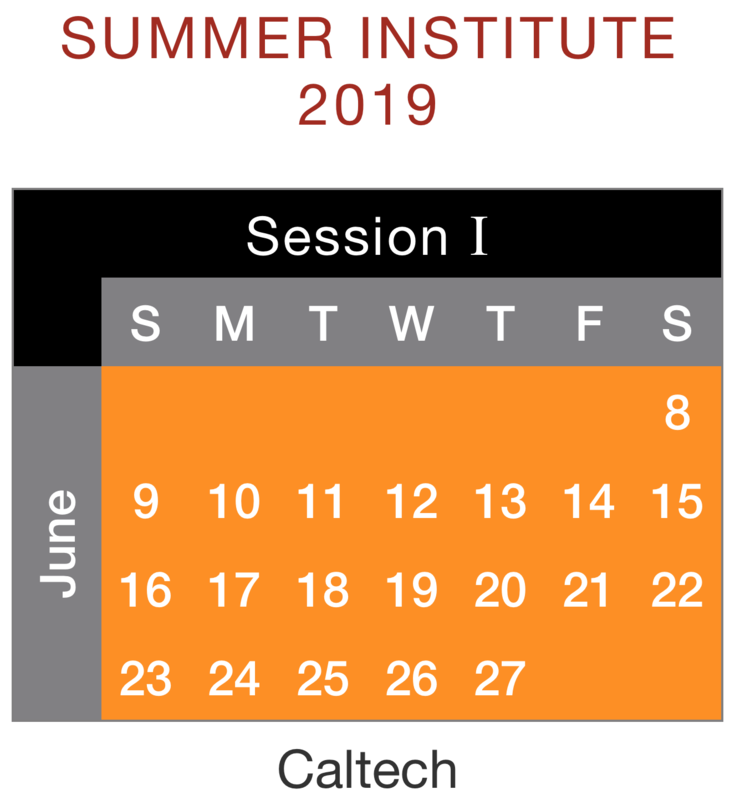 Students must have completed at least one year of calculus to enroll in this course. This scholar is practicing Babylonian mathematics on the glass walls at Stanford University. SolidWorks design software, this scholar designs his wind turbine in one of the computer labs in Etcheverry Hall at UC Berkeley. This scholar practices the Egyptian numerical system on the glass walls at Stanford University. At E&M labs, these scholars get to pose with one of their model dragon toys. This scholar feels her chair rotating as she turns the spinning bicycle wheel. After the touring the Botanical Garden and learning botanical latin from Al Luongo, DaVinci Camp scholars and team members pose with Al for a picture. Dr. Viviana Acevedo-Bolton shares her research about air quality with the scholars, emphasizing the importance of the research at Stanford University. Everyone enjoys jumping rope at the Exploratorium. Cast of a “Maiasaura peeblesorum” from the Cretaceous period found in the VLSB at UC Berkeley. This scholar makes new friend at the Cantor Arts Center, Stanford University. Flight Control: There is an app for that! As these scholars control the drone using a tablet. This scholar is exploring the rocks at the Ancient Bristlecone Pine Forest . DaVinci Camp gets the chance to attend a rendering of The Taming of the Shrew in Pleasanton’s Amador Valley Community Park. Pendulum and magnets that are used to demonstrate the science of magnetism to the scholars at The Exploratorium in San Francisco. This scholar works hard to make sure his Mayan book comes out exactly as he designed on paper. The magical levitating pencil, one of the projects that the scholars worked on at Dr. George Castro’s Workshop in San Jose. Professor of Mechanical Engineering at Stanford University talks with the scholars as they visit the unveiling of the solar car. At the Stanford Product Realization lab, Dr. Marlo Kohn, associate director and lecturer, explains the function of a laser cutter to the scholars. DaVinci Camp staff performs a scene from Shakespeare’s Taming of the Shrew to expose them the variety of the arts. While visiting the Berkeley Art Museum, DaVinci Camp staff points out details in drawings on display. Reading what Mark Twain is reading at UC Berkeley, these scholars are enjoying the tale. At UC Berkeley’s Etcheverry Hall, one of the Mechanical Engineering Buildings, a scholar works on a wind turbine design at the computer lab. DaVinci Camp stands next to the big red testing machine at the Richmond Field Station. Next to Bruce Beasley’s ‘Rondo’ sculpture at the Hearst Mining Circle Pool at UC Berkeley, DaVinci Camp says hello.